2008 Shanghai Masters Winner Ricky Walden produced his first maximum break on Day 2 of PTC 10. Congratulations! Best achievement for Walden was that he beaten Ronnie O'Sullivan in the final to win Shanghai Masters title, his first ranking title to date. It was totally our of people's exceptation, The 29-year-old joined the elite top 16 in 2010 before dropping out this season. Walden reached the final of PTC6 in Warsaw this year but lost to Robertson by 1-4. Today, the former ranking winner made his first maximum after the accomplishment of Mike Dunn and David Grey in this week. 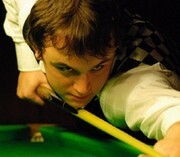 Walden produced his first maximum break in the first round match against Gareth Allen which he has won 4-1. He went on to beat Mark King in the decider to meet Mark Williams in last 32, who beaten Li Yan from 1-3 down in the first round. The maximum man won over Mark Williams in decider despite he lost a frame on the respotted black early in the match. 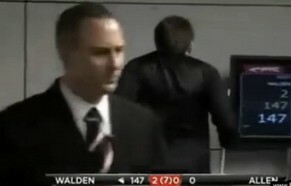 Walden to play Dominic Dale on Sunday who edged out Shaun Murphy in second round. Tian Pengfei defeated Judd Trump by 4-3 in the first round but unfortuantely lose to Dave Harold, failing to move on to play on Sunday's last 16. Harold will play David Grace who won two deciders out of three matches today. Graeme Dott will have a clash against Stephen Lee for last 16. Sam Baird edged out Ronnie O'Sullivan in the first round was close to make to last 16 but was defeated by Ken Doherty in last 32. China's Liang Wenbo had three wins to move on to play in last 16 for PTC 10.